Growing celery in Texas presents unique challenges. Although the plant is a cool season crop, it can be grown in fall or spring in most of the state. Celery prefers sandy soil with lots of organic components. Since clay soil in Texas is structured differently in different areas, you will need to test the soil to determine how to change the soil structure. Take a soil sample from your garden, To do this, dig a hole that is 6 inches deep. With your shovel, slice a 1 inch layer from the side of the hole. Place this soil sample into a bucket. Repeat step 1 at least 6 more times. Mix the soil and allow it to dry before placing it in a brown paper bag. Log on to the Texas A&M Extension Service’s Soil, Water and Forage Testing Laboratory website (see Resources). This website has paperwork you can download to fill out and submit your soil sample as well as instructions for how to send the sample in. Purchase amendments for your garden based on the results of your soil test. Break up your soil with a rototiller to a depth of 6 inches. Spread your amendments over the top of the soil to a depth of 4 inches. Mix the soil amendments into the soil by passing the rototiller over the soil again. Start celery from seed indoors 6 weeks before the last average frost date by sowing seeds into peat moss-filled flats. Cover the flats with plastic and place under a grow light. Uncover the flats when the seeds sprout. Continue to keep them moist. Take the flats outdoors during daylight hours one week before transplant to harden plants off. Dig planting holes for celery in the soil when you are ready to transplant. 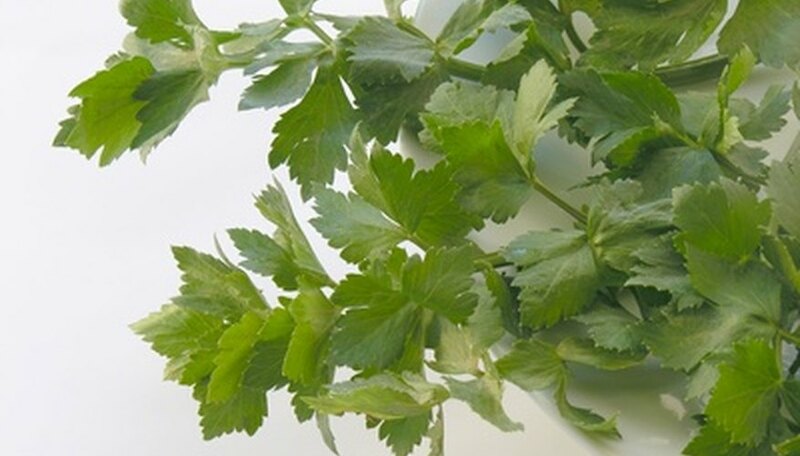 Celery should have at least three mature leaves and an established root system before you transplant it. Space celery rows 2 feet apart and plants 12 inches apart. Place the celery root ball into the planting hole and cover with soil. Cover the ground with black plastic to block weeds and warm plant roots. Water with up to 2 inches of water every seven days. Possible amendments include gypsum or sand to increase drainage, compost and well rotted manure to increase the organic content of soil, powdered limestone to raise the pH of soil, powdered Sulfur to lower the soil's pH and a balanced (10-10-10) fertilizer to increase the nutritional content of soil.